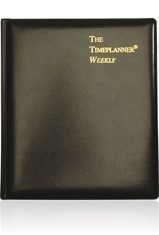 Our refillable LeatherWrap Planners, made with bonded leather or expanded vinyl, are both practical and sophisticated. Call for higher quantities. Price includes one foil imprint up to 16" sq - no bleed. Setup fee of $52.50 (G). Standard turnaround is 7-10 business days after proof approval.